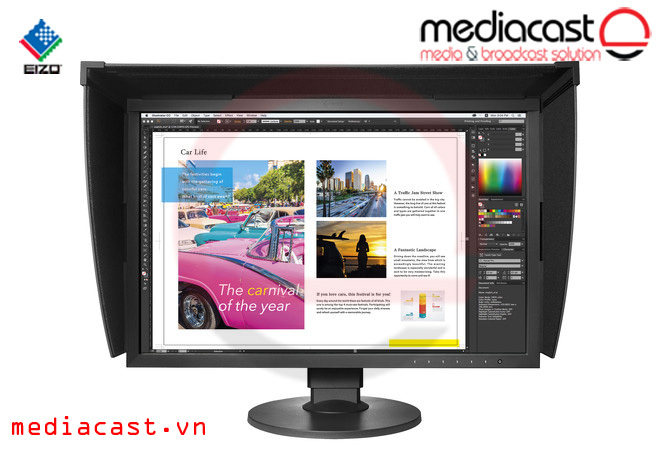 Eizo ColorEdge CS270-BK-CN 27" 16:9 IPS Monitor là màn hình 27'' sử dụng tấm panel IPS, độ chính xác rất cao. Được sử dụng nhiều cho đồ họa, sản xuất video hậu kỳ, hiệu chỉnh màu, in ấn, chế bản và photo. 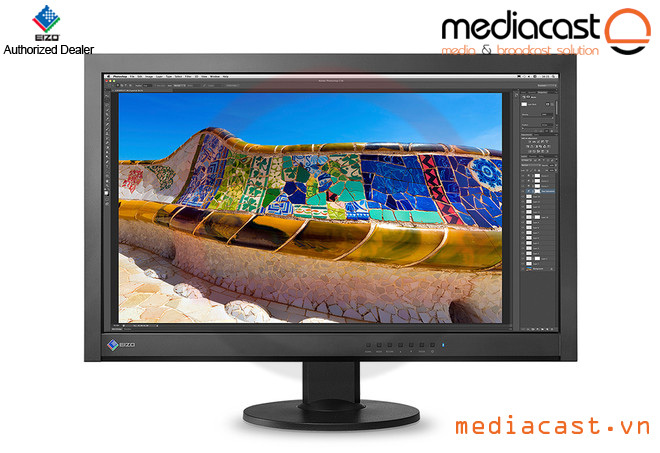 The ColorEdge CS270-BK-CN Widescreen 16:9 IPS Monitor from EIZO features a 27" widescreen display complete with a 2560 x 1440 native resolution and a 15 ms response time. 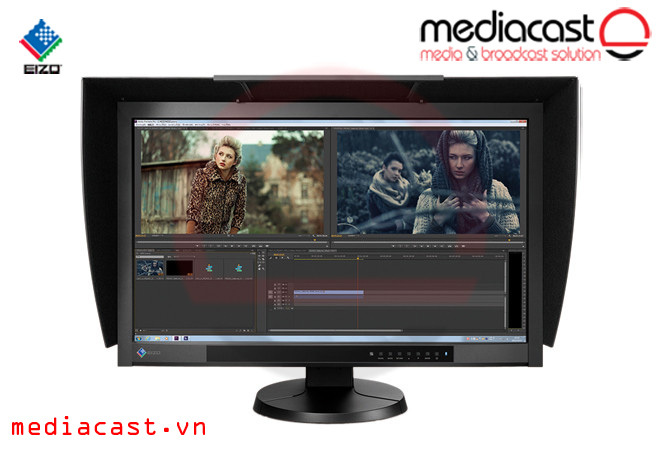 The enhanced resolution and minimal response time ensure an improved viewing experience. 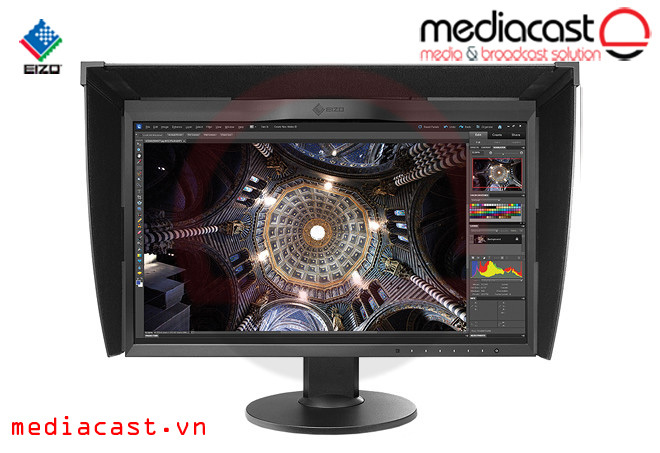 This monitor comes equipped with IPS (In-Plane Switching) technology which helps to provide enhanced 178° horizontal and vertical viewing angles, 300 cd/m² brightness, and excellent image quality. This monitor is designed for color accuracy. The built-in correction sensor helps to adjust the color calibration of the monitor based on what the monitor is currently being used for. 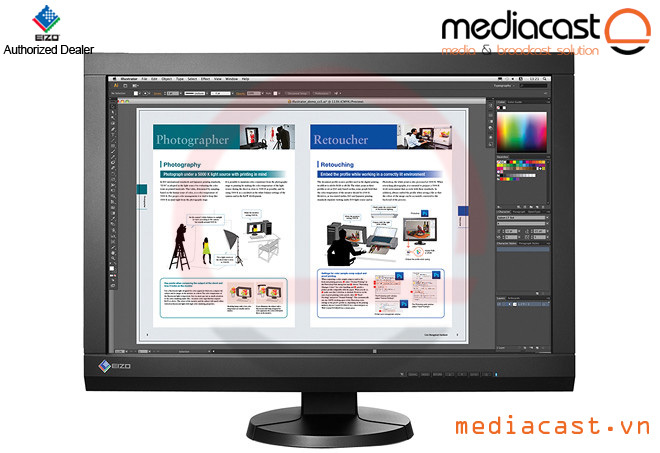 Inside the monitor you'll find EIZO's own circuitry for enhanced processing of graphical processes, allowing the monitor to quickly adjust display properties to meet your viewing needs. Setup and configuration of this monitor is simple as it comes equipped with DVI-D, HDMI, and DisplayPort inputs ensuring you can plug this monitor into a variety of computers. You can even connect two separate computers to the integrated dual USB upstream ports. Alongside the dual USB upstream ports, you will also find two USB downstream ports for even more connectivity options. 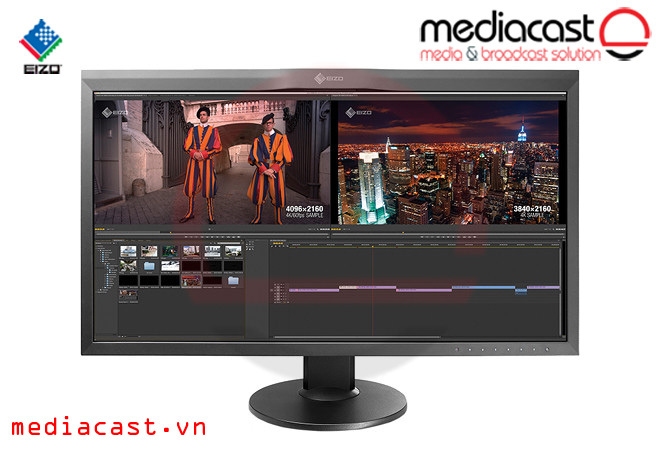 The ColorEdge CS270-BK-CN comes bundled with EIZO's own ColorNavigator 6 calibration software. 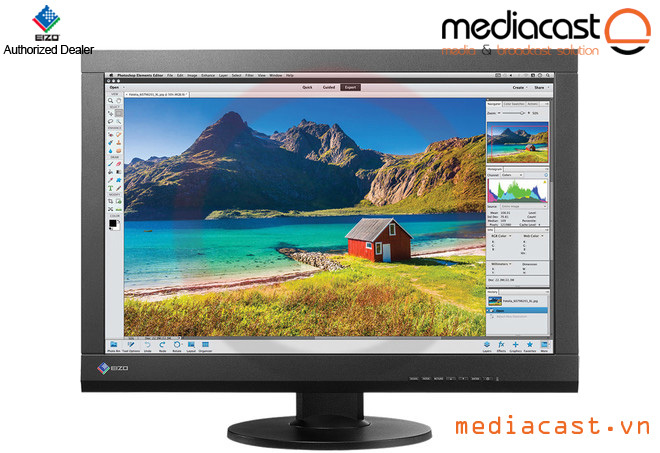 Because ColorNavigator is developed in-house, EIZO has ensured it is compatible with Mac, Windows, and Linux OSes and works with a wide range of measurement devices from X-Rite, DataColor, and other manufacturers. 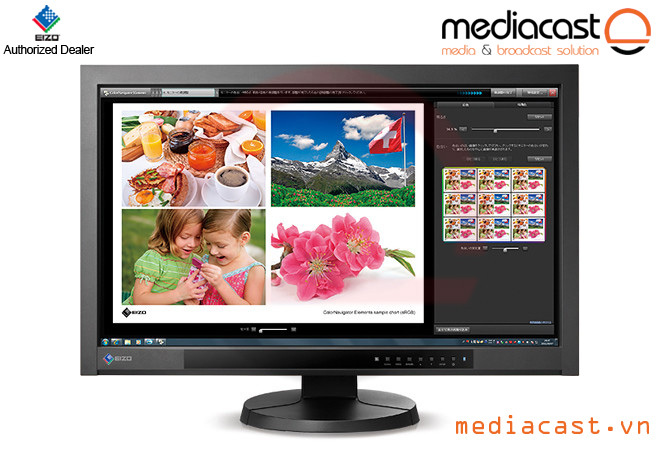 For simplicity, preset adjustment targets are provided for photography, web design, and printing. More advanced users can set their own values for brightness, white point, and gamma, and create their own target profiles. Calibration only takes a few minutes to complete. 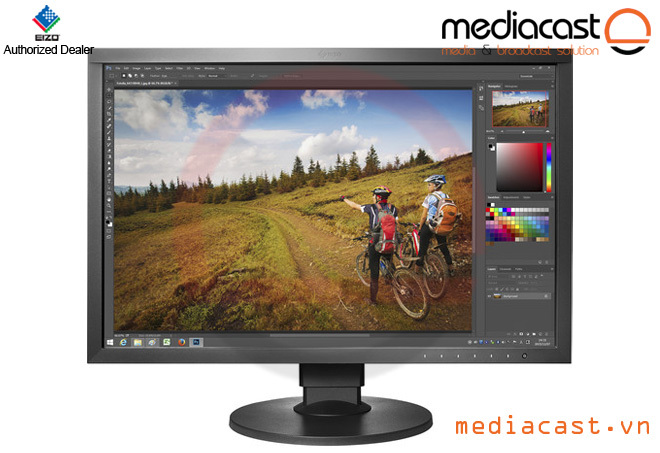 An IPS panel with a wide color gamut reproduces 99% of the Adobe RGB color space so images shot in RAW can be converted to Adobe RGB, or images shot in Adobe RGB will be displayed correctly. The gamma level for each ColorEdge monitor is adjusted at the factory. This is accomplished by measuring the R, G, and B gamma values from 0 - 255, then using the monitor's 16-bit look-up table (LUT) to select the 256 most appropriate tones to achieve the desired value. Using the DisplayPort input, the monitor offers 10-bit simultaneous color display from a 16-bit look-up table, which means it can show more than one billion colors simultaneously. This is 64 times as many colors as you get with 8-bit display which results in even smoother color gradations and reduced Delta-E between two adjacent colors. Please note a graphics board and software which support 10-bit output are also necessary for 10-bit display. DisplayPort, HDMI, and DVI-D inputs are included for connecting to various types of graphics boards, The HDMI input also offers direct connection with digital cameras. Two USB upstream ports allow two computers to be connected at once so it's not necessary to reconnect the USB cable when using the ColorNavigator software and switching between the two computers. Box Dimensions (LxWxH) 29.0 x 20.0 x 9.0"